ZANU-PF Central Committee member for Zaka Retired Brigadier-General Livingstone Chineka broke down in tears while narrating how members of the G40 group had hijacked party structures in Masvingo. Rtd Brig-Gen Chineka was speaking during a Zanu-PF Masvingo provincial coordinating committee meeting held yesterday. The PCC endorsed President Emmerson Mnangagwa as the party’s candidate for the harmonised elections slated for next year. Although the party contends that people need to forgive each other, Rtd Brig-Gen Chineka said some of the G40 members needed to be vetted first before they are forgiven. “There is no one who has officialised Team Lacoste or Team G40 here. It is against this background that the provincial leadership should allow district committees to censure its errant members who had turned against the party,” he said. The emotionally charged Rtd Brig-Gen Chineka said original Zanu-PF members were persecuted by the G40 cabal and it would be an affront to natural justice if those people are left scot-free. “If we treat these the renegades with kid gloves, the problem of factionalism will not end in our districts. We want to be given an opportunity to deal with our own members, to have a new dispensation in our areas. “Our structures should have members who are genuine and do not have double standards. For some of us, Zanu-PF is part of our life, we have sacrificed a lot and we do not want anyone to spoil our revolution,” he said, before breaking down into tears. 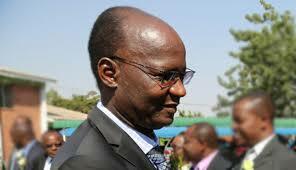 Zanu-PF provincial chairperson Cde Ezra Chadzamira had earlier revealed that delegates to the Extraordinary Congress were selected from Central Committee members, including some who were expelled in 2014. “We are going to the Congress with only one resolution — endorsing the candidature of our President Cde Mnangagwa. We have no other candidate for the presidency apart from the “Crocodile”. We also respect the resolution passed by the Central Committee on November 17, which ushered a new era and dismissed some members. Saviour Kasukuwere is gone, so is Kudzai Chipanga, Jonathan Moyo, among others. He said the provincial leadership will convene an inter-district committee meeting in the morning before departing for Congress in Harare. “We are happy our budget has been cut and we are going to have a few delegates. Our President is the man of the people,” he said. Speaking at the same occasion, newly appointed Minister of State for Masvingo Provincial Affairs Cde Josiah Hungwe said the provincial leadership has to bring sanity to the party.